What do Dental Boards investigate? Complaint Intake – The complaint intake section essentially examines complaints for distribution to different departments. These can include the sections listed below, or even referral to other agencies. The complaint intake section opens an initial file for the complaint, then distributes that file onward. All complaints, anonymous or not, will be investigated. 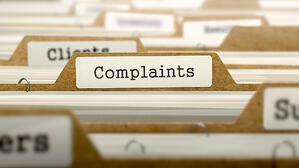 Complaint Analysis – This section works on obtaining relevant information for the complaint files. Examples of this information includes any records that might be related to the complaint itself, as well as any other files regarding the treatment towards the complainant. After a file has been gathered, it is referred out to a dental consultant who is a practicing dentist. Inspection Section – The inspection section’s mandate is to inspect any alleged conditions that may be present in a dental practice. The investigators who are part of this section are allowed to give warnings and citations to the dental office which is being inspected. Should a citation be issued, the practice that receives the same must correct the issue and pay a fine. Investigation Section – This section investigates violations of the Dental Practice Act. Examples of these types of violations are drug violations, battery, unlawful sexual relationships or conduct, the unlicensed practice of dentistry, and insurance fraud. If there are violations discovered, they may be referred to your state’s Office of the Attorney General or a district attorney’s office. Probation Section – The Probation Section keeps an eye on any dentists or dental assistants who have been placed on probation due to some sort of disciplinary action taken against them. The emphasis of this section is to continue to protect the consumer while maintaining compliance by a probationer. Anyone who violates probation may have their license permanently revoked. Depending on the type of complaint that is filed, it will be distributed to one of the above sections for enforcement. That being said, who can file a complaint? While you might consider that a patient or client of the licensee would file a complaint, there are many others who can also do so. Other licensees, employers, employees, other staff, or really anyone who has an interaction with a licensee has the right to file a complaint with the Dental Board. In some situations, the dental board itself may even bring a complaint against a licensee. What type of disciplinary action can the Dental Board take? Require drug testing or a diversion program. Place restrictions on the ability to practice. Suspend or revoke a license. Because of the range of extreme measures that can be taken against a licensee, it is important to make sure that you properly respond and not delay any inquiries by the dental board. What do I do if I am contacted by the Dental Board? So, what should you do if the Dental Board contacts you? First and foremost, you should reach out to legal counsel. Obtaining someone that is trained in this area of expertise can be the key to completely dismissing a complaint. Further, someone experienced in dealing with these matters may know the nuances of the complaint process better. In addition to consulting an attorney, do not contact the licensing board or the complainant to discuss the complaint. Since receiving a complaint can be a trying process for anyone, emotions may be heightened or things may be said that should not be. What is the investigative process like? In general, there are several parts of the investigative process: an informal investigation, a meeting with the Dental Board, and a formal administrative hearing. The informal investigation process basically includes answering responses to the alleged complaints against you. The next step would be to meet with the Dental Board to discuss those same complaints, while the third step would be to present your response at a formal administrative hearing. These processes can take as little as a few days or as long as a number of months, depending on the depth of the complaint filed. Do not fail to take a complaint seriously. Avoid ignoring or missing deadlines. Avoid responding in an angry or emotional matter. Do not fail to respond to each and every charge. Do not destroy, alter, or hide any records related to the complaint. While some of these helpful hints might seem obvious, there have been occasions when licensees may not have heeded that advice. In order to avoid exacerbating problems with the Dental Board, hiring legal counsel along the way can help you avoid the same mistakes others have made.